EarthTalk: Is It Greener to Take Baths or Showers? We often receive information and resources from friends and supporters of 21 Acres who share our mission. The 21 Acres blog is the perfect location to disseminate knowledge and we enjoy sharing topics and ideas related to sustainability with readers. In support of this goal, we are pleased to partner with EarthTalk and the editors of E–The Environmental Magazine! On occasion we will share EarthTalk’s informative and thoughtful responses to queries they receive from the public for their internationally syndicated Q&A column. The first question EarthTalk answers for us is whether taking showers or baths is better for the environment… the answer is below! Like most good questions, it depends… The main variables are how long the shower takes and the flow rate of the shower head. A typical bathtub holds 36 gallons of water, but most of us only fill it up partially. For baseline purposes, let’s assume a typical bath uses 25 gallons. Meanwhile, a typical shower head doles out 2.5 gallons per minute (GPM). (In 1992 the federal government mandated that all new shower heads sold in the U.S. had to be 2.5 GPM, although California, Colorado and New York have since instituted even lower limits for their own states.) According to this scenario, a 10-minute shower would use as much water as 25-gallon bath. CONTACTS: EPA Watersense Showerheads; Delta’s “H₂Okinetic” Design; “Best Showerhead: Reviews by Wirecutter”; Shower Manager. 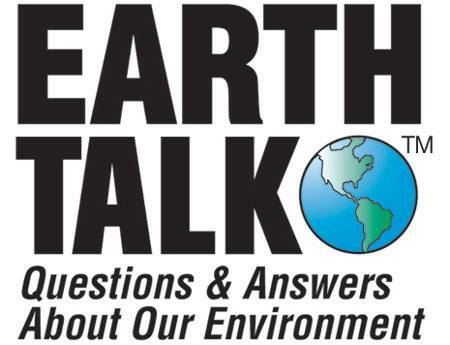 EarthTalk® is a weekly syndicated column produced by Doug Moss and Roddy Scheer for the non-profit EarthTalk. To find out more, submit a question, or make a donation, visit us at EarthTalk.org. Check back here regularly for more EarthTalk posts. Come visit us at 21 Acres and we’d be glad to talk about topics such as this. We love sharing ideas and resources, including how we make wise water choices on campus.